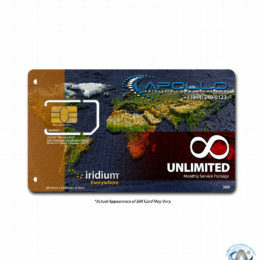 The Iridium PTT Solution is the world’s first global, satellite-based push-to-talk service. It enables fast, simple, and global group communications at the push of a button, enabling instant communication between participants located anywhere on earth. The solution includes the Iridium PTT service; the Iridium Command Center, the cloud-based management system where radios and talk groups are managed; and the Iridium PTT radios, including the Iridium Extreme® PTT and other devices powered by the Iridium PTT 9523 Core transceiver, which enables manufacturing partners to further expand the enterprise applications for Iridium PTT. Iridium recently announced the first service partners for Iridium push-to-talk. These industry-leading companies will resell the Iridium PTT service and products to military, law enforcement, search-and-rescue, mining, utility and other enterprises around the globe. These partners are quick to say just how excited they – and their customers – are about Iridium PTT.